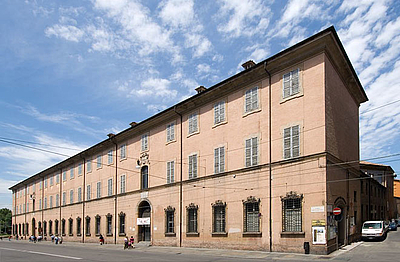 The exhibition held in the former Ospedale Sant’Agostino, Modena (Italy), from 27 November 2010 to 13 March 2011, presents the third nucleus of acquisitions for the international contemporary photography, art film and video collection of the Fondazione Cassa di Risparmio di Modena. 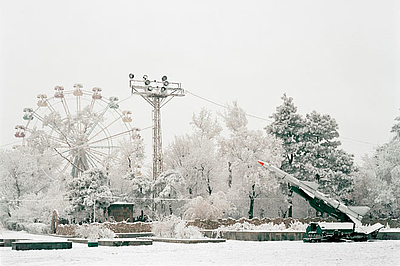 The exhibition features 21 artists from 12 countries, with more than 100 works. As the title of the exhibition suggests, the idea ofBreaking News is to shed light -through the photographs recently selected for the collection- on a part of the world that only makes the news with conflicts and bloody events. And if there is one part of the world that has supplied television networks all over the world with breaking news it is precisely the Middle East, followed and in some cases surpassed by Africa. Breaking News is presented as a journey from Syria to Iran, Palestine, Israel, Lebanon, Egypt and Morocco, through Nigeria, Cameroon, Congo, and down to South Africa, following artists whose work testifies rather than recounts, shows rather than interprets, declares rather than pricks the conscience of others. Dominated by the views induced by colonialism for more than a century, Africa now expresses a variety of creative voices able to investigate not only the legacies of the past but also the complexities of the present. Although the portrait is a genre that has been widely used in Africa - in the past as a means of claiming an independent identity - Philip Kwame Apagya and Samuel Fosso’s images seem to insert the African reality into the globalised world to play with or critically question stereotypes. 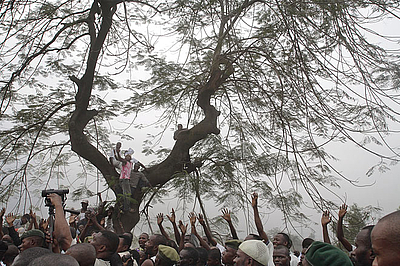 Goddy Leye’s video works, moving from the theories of Négritude, ironically mock Western preconceptions of Africa. The photos by a substantial group of South African artists - from the 1950s shots taken by Bob Gosani, to those of the 1980s by Cedric Nunn, through to the contemporary research of David Goldblatt, Jodi Bieber, Mikhael Subotzky, Daniel Naudè and Pieter Hugo - define the historic parabola of a country that, emerging from Apartheid with Nelson Mandela’s dream of a Rainbow Nation, now finds itself facing new problems, such as serious social disruption and new forms of classicism. The Middle East also presents a lively art scene capable of expressing the political, social and religious complexity of contemporary reality, even in places where freedom of expression or the right to existence itself are sorely tested. 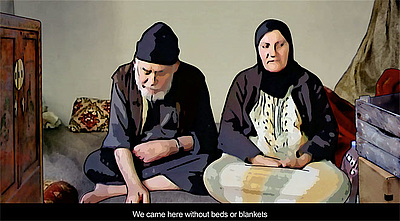 The Arab-Israeli conflict is the subject of various artists’ research projects, including that of the Israeli video artist Yael Bartana, the Palestinians Ahlam Shibli and Taysir Batniji, the Lebanese Akram Zaatari and the Egyptian Wael Shawky. The rapid changes that have taken place in some Arab and Middle Eastern countries in recent decades emerge in the works of artists like Hrair Sarkissian of Syria, whose photos are visions between the poetic and the documentary of Armenia, his country of origin; Yto Barrada, who seems to look at Morocco through "holes" opened up in the photographic memory; Mounir Fatmi, who collects and mixes up in his video the stereotypical images of Middle East overexposed by the media; and Jinoos Taghizadeh, who reports on the current situation in Iran and its illiberal contradictions with her collages. Breaking News is organized by Fondazione Fotografia / Fondazione Cassa di Risparmio di Modena. Fondazione Fotografia is a project promoted by the Fondazione Cassa di Risparmio di Modena and curated by Filippo Maggia. 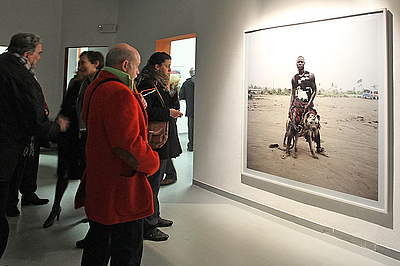 Fondazione Fotografia works since 2007 in order to create a permanent collection - still on going - made up by contemporary photography and artistic videos, offering at the same time occasions, in which people can widen their cultural and professional knowledge, through exhibitions or educational events.